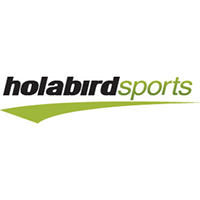 ● Sign up for Holabird Sports’ mailing list and be the first to know about its promos and deals. ● Spend $69.95 or more and you’ll have free ground shipping. This ongoing promo is open to delivery addresses within the Continental US. ● Holabird Sports usually offers limited-time discounts on bags, racquets, shoes, and more. Shop Holabird Sports’ Current Promotions page and find deals such as saving 20% on Apera bags, buying 2 Gamma IO and Moto string packages and getting 1 for free, and more. ● Holabird Sports also has an ongoing discount promo for strings which comes with a minimum purchase value, such as free Babolat string when you order Babolat racquets worth $169 and up, and more. ● You can save up to 40% on apparel, shoes, and equipment when you shop Holabird Sports’ Closeout page. Holabird Sports offers shoes and sport clothing for men women and children. Users can shop by sport like racket sports, running and tennis. Users can also shop by apparel. Holabird Sports focuses on running, racket sports and tennis so all of the apparel and shoes are geared toward these sports. Free shipping is offered on orders over $25. There is a closeout tab where the sale items can be found. There is also a “todays deal” section as well. On the right side of the landing page there are sections to help ensure the perfect shoe fit and that offers freebies and other discounts. For most up to date offers check out Holabird Sports on Facebook and Twitter or contact Holabird Sports Support for any questions.